Please note that all advertisements will be printed in black and white. Advertisers must send their conference program ad submission in black and white; and in .jpeg ready form. Minimally, advertisers must submit a copy of their business logo and any text that is to be typeset. 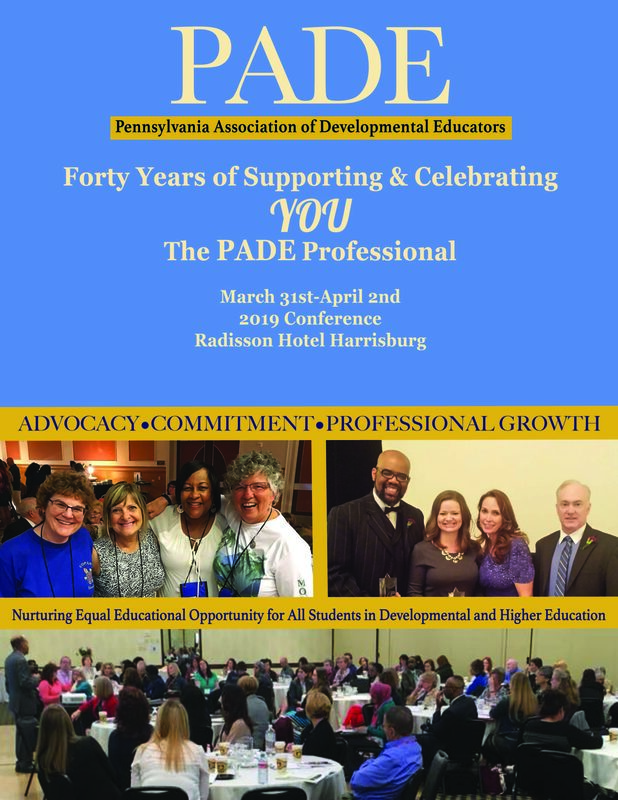 To reserve a space in the 2019 PADE Conference Program, your advertisement must be received by March 1, 2019. Please choose one of the options and complete the Conference Program Ad Contract Form and send to Alfred Siha, Assistant Professor of English, at aasiha@hacc.edu.